Namekians have the ability to Merge or Fuse but is a little different than the rest of the fusions. The way it works is when the two Merge into one person one of them is in control and is the same person just stronger and has the knowledge of the other. The personality of the one that isn’t in control influences the other person. This is a Fusion performed by two people doing a certain dance. The two people must do the same moves at the same exact time. The slightest mistake can result in a really messed up Fusion like Fat Gogeta. After performing the dance correctly it will result in a new person that will be more powerful then the two separate. A side effect of the fusion is the new person is very cocky. The two people must be similar in size, build, and their power level must be the same. This is very important but this is not a problem since most of the Z soldiers can control their power level. The fusion will last for 30 minutes but is shortened while fused in SSJ 4 form. After the fusion ends it cannot be done again by the same two people in at least an hour becaue they have to recharge their power. This is the fusion technique for the Kaioushins this technique is supposed to be a lot better than the fusion dance. 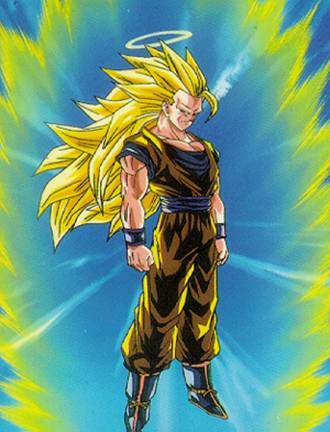 For this type of fusion to happen the two people must wear the Potara earrings on different ears. This type of fusion is supposed to be permanent but being absorbed into a magical being can result in the fusion to wear off. Each person can only have one of these fusions in a lifetime.